Noam Galai / GettyA Tesla Model X is pictured in Nantucket, Massachusetts. InsureMyTesla is car insurance designed for Tesla vehicles. As cars get safer, car insurance premiums should decline as well. The car insurance industry could decline by 40% over the next 25 years, which would translate into savings for consumers. There may be a new reason to justify splurging on a Tesla: cheaper car insurance premiums. 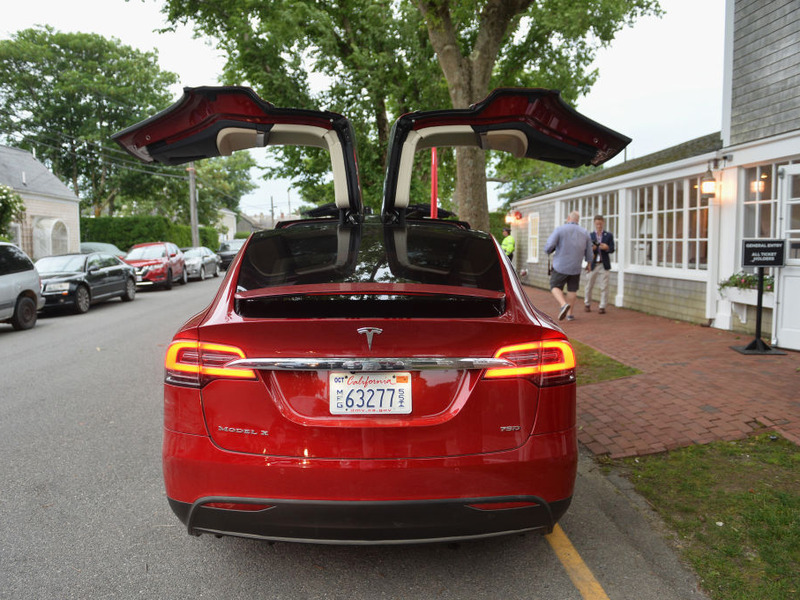 In October, Tesla launched InsureMyTesla, a car insurance product designed specifically for Tesla vehicles, in partnership with Liberty Mutual Insurance Company. Though new in the US, the package is already available in 20 other countries. It’s another step forward in simplifying the car ownership process — and the costs associated with it. “It’s our vision in the future we could offer a single price for the car, maintenance, and insurance,” Tesla’s president of global sales and services, Jon McNeill, said in an earnings call earlier this year. Recent reports show that features such as Tesla’s Autopilot and Autosteer actually make the vehicles safer. After Tesla started installing Autosteer, which keeps the car in its lane even when the road curves, crash rates dropped by 40%, according to the National Highway Traffic Safety Administration. Less risky driving means less need for the benefits offered by car insurance policies. Which, in turn, should lead to lower car insurance premiums. “If we find that the insurance providers are not matching the insurance proportionate to the risk of the car then if we need to we will in-source it,” Tesla CEO Elon Musk said in February. Multiple insurers, including Cincinnati Financial, Mercury General, and Travellers, have indicated that driverless cars could threaten their business models, Business Insider’s Danielle Muoio reported. Just how much individuals could save on their monthly car insurance bill isn’t clear, but an estimate from KPMG predicts the industry could shrink by as much as 40% over the next 25 years. That could translate to similar savings for consumers. In 2016, the average American spent $US2,884 on transportation expenses related to maintenance and insurance, up 4.6% from the prior year, according to data from the US Bureau of Labour Statistics. Overall transportation costs were down, however, largely due to fewer vehicle purchases and cheaper gas prices. Transportation is the second largest household expense after housing. Americans borrowed more money to buy cars than attend college last year, according to the Federal Reserve. As cars get smarter, fewer accidents and lower car insurance premiums could be the future of transportation. Car insurance companies — and consumers — should take note.